Communications with patients and family around End-of-life care issues in any society could be very challenging. Hitherto, in some African settings communicating bad or death news is usually handled and effectively managed by the support of the community. Clinical bad news, dying and death in the hospital setting can only be best approached in an interdisciplinary or by a multidisciplinary team. Bad news is a message, with a potential of shattering hopes and dreams that often times provoke cognitive, behavioural, affective and spiritual distress and pains as evident in some life-threatening illnesses like Cancer and HIV/AIDS. Clinical competencies should include skills to break bad or difficult news tactically to ensure better psychological adjustment by the patient and family members, and also reduces stress on everyone including the health care professionals. The clinicians can make the news worse if not empathically delivered and also have the task of empowering the patient towards attaining a realistic hope. Adjustment to bad news may take time and is similar to a process of grief or loss. 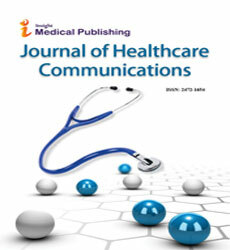 Bad or difficult news communication training to health care providers has largely been limited in Nigeria. An interactive experiential adult learning approach can be effective in communication skills training for health care providers especially among palliative care practitioners as most clinicians missed this skill at the undergraduate training.